Musicians travel to different places and play music with their musical instrument for a living. But they have a problem—most airlines don’t allow instruments in cabin luggage, not even when they have paid for an extra seat. That’s what happened to cellists Nathan Chan and Raphael Wallfisch. 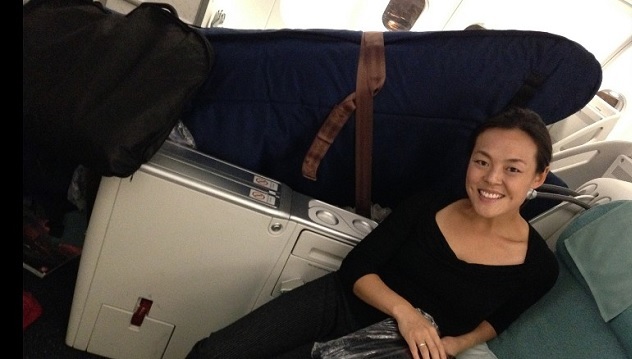 A lot of musicians like Chan and Wallfisch find themselves in a difficult situation every time an airline staff tells them that carrying musical instruments in cabin is not allowed, a policy that is not widely known among musicians. Nathan Chan, being a frequent flyer, thought that bringing his cello with him in the cabin would not be a problem. He even paid for the seat next to him, but it was useless. Upon checking in at the airport, he was told that his musical instrument can’t be brought on board because the airline doesn’t have a restraining device for it. On top of it, the airline didn’t give a refund for the additional ticket worth US$167 and suggested to Chan to check the US$108,557 antique instrument as hold baggage. But Chan refused because his cello would be damaged. Chan had no choice but to leave his cello in Vancouver with his relatives. He got reunited with his musical instrument after his sister traveled to New York who spent about $1,000 just so she could bring the cello with her. Cellist Raphael Wallfisch had the same airline experience with Chan. He was asked by the airline to pay for six additional tickets so he could carry his instrument despite the plane he was flying in having only three free seats on both sides of the aisle. If an artist is not willing to pay for several extra seats—perfectly reasonable because that’s just incredulously expensive—just so their instrument could fly along next to them in the cabin, and the only option left for them is to check it in as luggage, maybe they can use a sturdy casing for their instrument, scribble something like “handle with care, fragile item inside” on the casing, then hide in it a real-time GPS tracker like Trackimo. 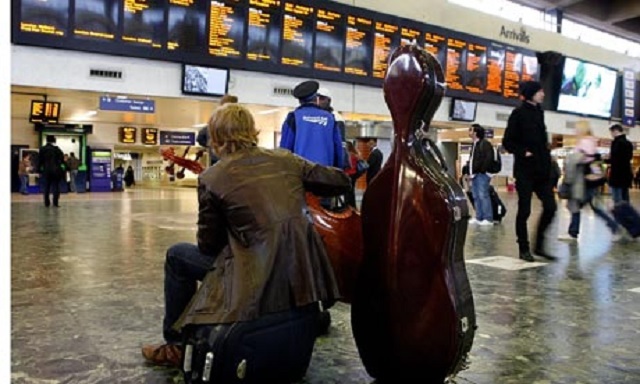 So even if artists travel separately with their musical instrument, at least they know where it is. The GPS tracker can provide them their instruments’ current location, whether it has arrived safely and where. But it wouldn’t hurt to get an insurance, especially for an expensive music equipment. Attaching a GPS device for instruments would bring peace of mind to the owners.